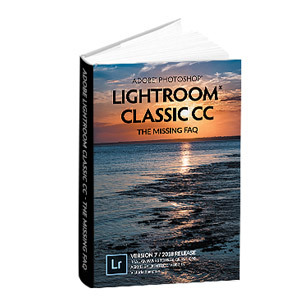 There’s an updated Lightroom 4 version of these instructions in the Knowledgebase. A corrupted monitor profile is often to blame for Lightroom preview issues, whether that be a mismatch in colours between programs, or simply blank grey previews. Lightroom uses the profile differently to other programs (perceptual rendering rather than relative colorimetric), so corruption in that part of the profile shows up even though it is not noticeable in other programs. It often happens with the canned profiles that come with many monitors. Ideally you should recalibrate your monitor with a proper hardware calibration tool, however not everyone has one to hand. To confirm that the profile is the problem, you can remove it and replace it with a standard profile. Choose Start > Control Panel > Display. Click the Color Management tab. In the “Color profiles currently associated with this device” field, select the new profile you just picked. Click the “Set As Default” button. (Optional) Select the old profile. (Optional) Click the Remove button. Choose Start > Control Panel > Color Management. In the “Profiles associated with this device” field, select the default monitor profile. Click the Remove button. or Change the Device Profile to a standard RGB color profile, such as sRGB IEC61966 – 2.1. Press the Calibrate… button and follow the instructions. Turn on the Expert Options and calibrate to gamma 2.2. THANK YOU!!! I struggled so much with LR for last few days due to color profile corruption until i read your tips mentioned in this article. I could fix it in a few mins and move on with my LR work since I did not have the color calibration device handy. Victoria… IT WORKED!……..adding the Adobe profile……how great,,,,,and I certainly am now going to order your book! I did the Driver DX earlier and it checked out as being ok. Thanks again…. and yes, no imposter here, you ARE THE Lightroom Queen! Dear god thank you. The crappy profile that windows correctly assigned from Samsung was garbage. Switching to the standard sRGB one mentioned above solved all my hair-pulling issues! You really are the Lightroom Queen! Thank you so much! How frustrating that monitor manufactures would ship bad monitor profiles? Thank you! You solved the problem I’ve been struggling for days! Thanks Victoria for this great solution. I’m about to dump LR but you saved it. Thank you Thank you Thank you so much! I had been fighting with this for days now! Thank you, thank you, thank you! I have been searching for a solution to my preview issue in lightroom for weeks (if not months). I was hesitant about changing certain things because I wasn’t sure what to change it to, and also because I didn’t want to mess my system up. In any case, thanks again! You are a life saver! This worked for me! In Photoshop and Bridge, my images looked too reddish compared to how they looked just a couple weeks ago. Removing my monitor’s profile and using the sRGB fixed the problem. I would like to promote you to “Lightroom Godeess” and put you on the fast-track to Sainthood. It may be of interest to know that Lightroom 3 is prone to the same problems under Vista, which seemed to have lost all profiles associated with my display. Fortunately, the fix was as simple as re-associating an existing profile. And yes, I will profile again properly soon! Worked for me! I use Lightroom 3 and some thumbnails wouldn’t show. Thought the catalog was corrupted. In the settings, my display had no colour profile selected at all! I have a Huey pro on Windows 7 64bit that refuses to play ball. If the huey profiles are loaded for my two monitors I get no previews in LR 3. If I delete them I get the previews fine, shame as I would like to have the monitors correctly calibrated. A thoughts appreciated. great advice after blood and tears hoours of grey thumnails in LR3. 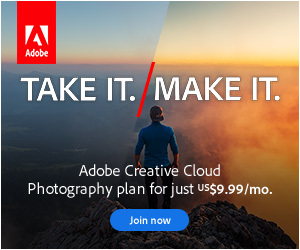 I got directed to your site while on an Adobe Lightroom site looking for guidance on dealing with a Lightroom screen that had turned green. Your specific suggestion — change to a sRGB profile — didn’t eliminate the green tint, but I tried some of the other settings, and one of the Nikon profile settings worked just fine. Not sure my monitor or Lightroom (if that’s where the problem lies) is fixed, but at least it’s adjusted back to normal color tones. I’ve bookmarked your site. Thanks for guiding me on my way. Fantastic! I had scoured the Adobe forums for hours trying to get this brand, spanking new software to work, and import my IMAGES instead of grey rectangles. Finally stumbled upon your website, and there was the answer, clear and concise. Thank you. I tried using the below instructions for Windows 7 and I’m still having problems with LR 3.5 showing black or gray images in the library tab. I can see individual photos in the develop tab but it takes me longer to look through each photo and figure out which photo I should select to edit. I recently update my LR to 3.5 and all my prior photos can be viewed but my new photos can’t be viewed. Please Help! Thanks. Sylvia, if you can see the photo in the Develop module, it’s not a monitor profile problem. It’s most likely a corrupted preview cache. Try importing a few photos into a clean catalog. If Library previews work correctly there, close Lightroom, find your normal working catalog on the hard drive and rename the Previews.lrdata folder which is stored next to the catalog. Then reopen Lightroom, select photos in Grid view and go to Library menu > Previews > Render Standard Previews. Once you’re happy that all of the previews are showing correctly, you can then delete the old previews folder which you previously renamed. That’s great, I’m really pleased to hear it. thank you so much ! There wasn’t previewing my pictures, and I was desesperate…. thank you ! I’m glad to hear that did the trick Cyril! OMG OMG! I can’t believe I found this posting! I’m saved!! It totally worked and saved buckets of tears. I thought for sure my photos were gone forever. THANK YOU for providing this post!!! You are for sure my lightroom queen! I’m so pleased to hear it!!!!!! NOPE. the monitor calibration is not the problem with me. I just recalibrated and restarted. still not showing previews (they only shows on some folders). Also, when rendering previews, mine hangs on the first one and won’t go any farther. That’s a corrupted preview cache Tod. Find the catalog on the hard drive, and rename the Previews.lrdata file. Then reopen LR and the previews will rebuild. You can force the rebuild of them all by selecting all and going to Library menu > Previews > Render Standard Sized Previews. Once you’re happy that everything’s good, delete the old renamed Previews.lrdata file and you should be all set. Thanks for your reply. I ended up copying an old back up catalog from 2 days ago (losing 2 jobs’ adjustments) into the directory it draws from and all the previews were there. Does this still mean that it could be a corrupt preview file? I’m no “expert” but wouldn’t that mean that it is a corrupt catalog? It’s possible, but I’d guess that it just got confused about which previews were meant to tie up with each photos. If you’ve still got the newer catalog, you could just try rebuilding the preview cache and see if it solves it without losing any work. So last night I was going to try your suggestion of remaning the review file, and when I loaded the original catalog (_2) all my previews were all ready there! The only think I did the day before was to copy an old catalog in to the folder where it draws from (as stated above) and name it _3 (old one was _2). Brilliant, I love things that magically get solved! I was having the same problem as Tod and found this thread. Your fix worked perfectly Victoria, thank you! Glad to hear it Cassandra! I did all the things you suggested in the post and I’m still having an issue. The issue is that the preview looks great in LR 4 but when I open it from LR into PS, it looks as if the exposure has been majorly increased. Do you know what else could be causing this? Thanks! Which LR, PS and ACR versions Alycia? There were a couple of bugs that sound similar in the 6.7RC version. Thank you so much Victoria! i had an issue with the greyed out thumbnail previews too and renaming the preview file worked! i spent so much time on it and can’t believe it was such an easy fix! Thanks again! I’ve bookmarked your site! awesome! That’s great Kajon95, I’m really pleased you’ve got it working now. This just saved me tons of grief! Thank you soooo much! I’ve tried so many complicated “fixes” to fix the red tone that all my pictures were taking in color managed programs only. This was so easy. I’m a fan now!. Excellent! I’m really pleased Stephanie. I had the same issue you have shown in the picture you posted (and by the way, it did not affect the thumbnails in the import window), and the method descripted above worked fine! Thanks! If I’m using ProPhoto or even Adobe RGB as my color profile in Photoshop is it important to change my system color profile to ProPhoto ? which color profile I have to chose for my system ? Thanks a lot for this post. I was facing an issue of mismatching colors between PS and LR. This post really helped in solving that porblem. Great to hear it Rohan. do you think this could be the answer to my problem: “When Exporting a photo, LR is not applying my “Details” edits (i.e. sharpening) but is applying other edits (i.e.exposure, contrast, etc). When in my “Develop” section, the sharpening shows up but when I click into My “Library” the sharpening goes away. Thanks! No, a corrupted monitor profile won’t do that. You need to compare sharpening at 1:1 zoom, as the Develop Fit view isn’t accurate, especially at high sharpening values. That’s the most likely reason why it seems to be going away. Thanks for posting! I have had a corrupted monitor profile for a long time now that caused an issue whenever I opened Photoshop. I finally decided to look up the solution and removed the profile using these instructions, which fixed it. Glad to hear it Charles! Thank you Victoria for this solution. I had the grey screen problem some two years ago and your recommendation solved it. I had it again today when I did some Windows 7 debugging and immediately searched for your solution when the grey screen showed up on the Lightroom screen. It worked again and I have to say that you have saved me ….. twice. A BIG THANK YOU !! Thank you so so much! My Lightroom reset itself and my images have been extremely dark (Im a bright photographer). I even spoke to Adobe 4 different times and everyone kept telling me I had to upgrade to the subscription CC version … This worked!! !